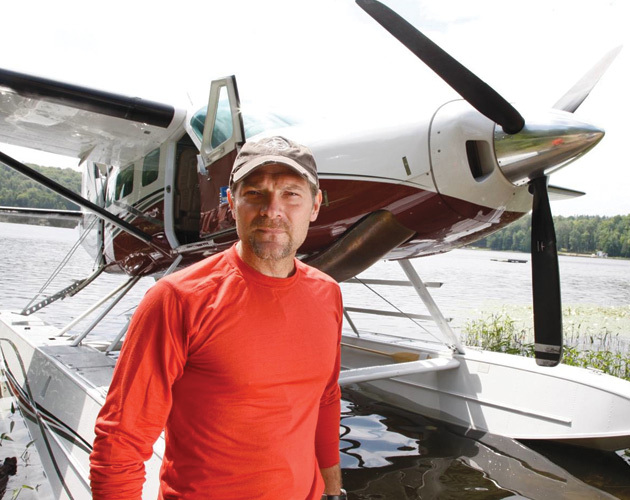 Though Les Stroud made his name enduring some of the world’s harshest landscapes with only his video camera for company on TV’s Survivorman (for which new television specials are in the works), this 50-year-old doesn’t crave isolation. Stroud opened his 170-acre, off-the-grid property for public use and is launching a multimedia concert tour in which he connects his audience to the earth through film and music. Huntsville, much like this world-travelling Zoomer, blends nature and art in captivating fashion. I came out of a childhood of going up to a Muskoka cottage and falling in love with nature. I want to be around rocks and trees and water. But I discovered that, for my kids [daughter Raylan, 16, and son Logan, 14] especially, Huntsville has a lot going on. It’s beautiful and has all the infrastructure necessary. So it works for me on all levels. More than just cottages and summer camps Huntsville has got a great arts community, which I’m really happy about. We have the Huntsville Festival of the Arts and the Algonquin Theatre. We have strong community events like Midnight Madness Sidewalk Sales and the Reel Alternatives Film Festival. So it’s got an artistic mindset and it’s surrounded by a ton of nature. The best morning coffee is Mugzy’s Coffee House. The Farmer’s Daughter is my lunch spot, and the Pie Iron Sandwicherie is a new restaurant that I’m loving. And for dinner, 3 Guys and a Stove; also Spencer’s Tall Trees Restaurant. We’re just a stone’s throw from Algonquin Park. I hike in Algonquin Park and I get out into my (property) all the time. And although sports are not a substitute for free time in nature, I’m really happy that we have the Canada Summit Centre. It’s great. I love playing hockey there, and my kids play hockey, and my daughter swims. I’m hoping my multimedia tour will go around the world, but my off-the-grid place is where I’ll be focused. I have a number of buildings I’m putting up for rent for artists’ retreats and corporate functions, and I want to offer it up to the local schools. It’s about making this beautiful property accessible. I’ve seen so many places around the world, but I could count on one hand the places where I would say, “It really captured my heart. I can’t wait to go back.” Huntsville is a great place to come home to. Twenty years ago, realtor Sher McGrath gave up a big-city lifestyle, becoming co-owner (with husband Bill) of Century 21 Cottage Country Realty in Huntsville. She’s never looked back. Huntsville District Memorial Hospital has 24-hour emergency care. The North Muskoka Nurse Practitioner-Led Clinic is a new option for those without a primary health-care physician. Huntsville is especially vibrant in summer, with street musicians, a farmers market, traditional main-street charm and the Savour Muskoka program. Year-round performances organized by Huntsville Festival of the Arts.